They are light. This is because of how polyurethanes are formed. In a nutshell, PU is formed when diisocyanates react with other di-functional compounds like glycols. This triggers the release of millions of little bubbles that contributes to their lightness, resulting in lighter footwear. They are climate controlling. This may sound a little strange considering that they're shoes. 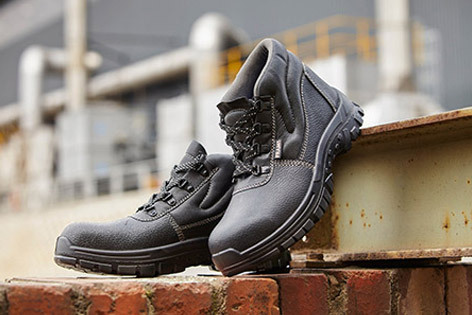 Dual density PU material shoes allows for feet to remain insulated and warm in cold conditions and when it's hot, they allow for air to circulate and keep feet cool. This is particularly helpful in industries such as construction and mining where temperatures vary outdoors. They are antistatic. This makes dual density PU a great ` for making pu material shoes and rubber boots when safety is concerned. Industries such as manufacturing and mining are suited to these properties of PU. They are comfortable. This is because polyurethanes and in particular, dual density polyurethanes (like the ones we use to make our PU Dual Density Sole Range) provide a more cushioned sole for added comfort. This goes a long way to ensure that the hours spent in these shoes are comfortable ones. When one takes into consideration the applications and industries the shoes will be present in, its no wonder that extra comfort makes all the different. They are durable. Because they can withstand temperatures up to 95 degrees Celsius, shoes manufactured with dual density PU are more durable than those made without. These make them a logical and cost-effective choice when one takes into account how long they will last. Frams PU Dual Density Sole Range is made with a dual layer of polyurethane for even longer lasting protection. Safety is a necessity in working environments where harsh conditions are a reality. Frams wants to keep people safe. That's why we offer affordable safety that customers can trust.